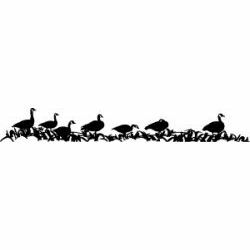 Waterfowl Decal - Geese in corn stub. This Sticker Decal is designed to be attached to just about any clean smooth surface. Put it on your Truck, Car, SUV, RV, Trailer, Gun Case or wherever.